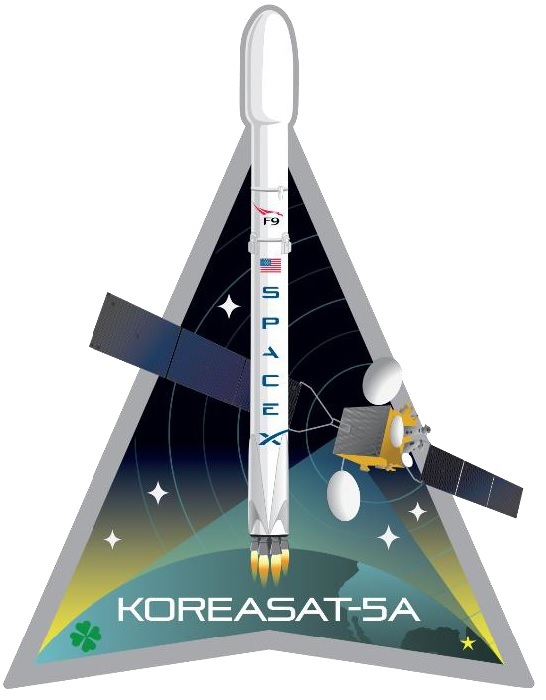 KoreaSat 5A is a commercial telecommunications satellite operated by South Korean satellite service provider KT Sat, a subsidiary of KT Corporation. 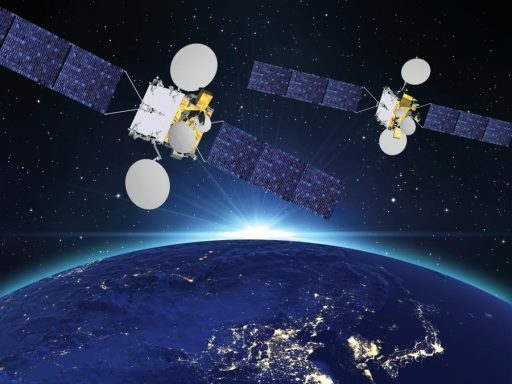 KT Sat signed a contract with Thales Alenia Space in 2014 for two satellites, KoreaSat 5A and KoreaSat 7, to provide a complete solution for Internet access, multimedia distribution, broadcasting and Fixed Satellite Services. 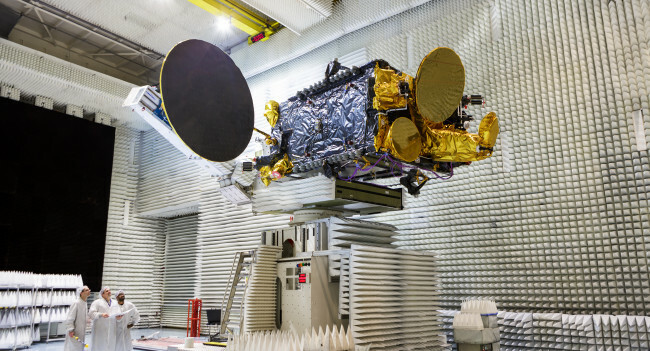 The KoreaSat 5A and 7 satellites employ a number of innovative technologies including the largest 3D-printed spacecraft parts ever manufactured in Europe. These telemetry and command antenna supports consist of aluminum and each measures around 45 by 40 by 21 centimeters in size, using a manufacturing process called power bed additive manufacturing. 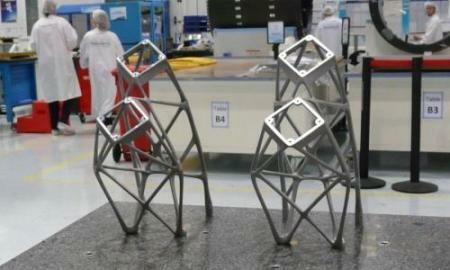 The parts for the two satellites were printed by the same machine and showed perfectly reproducible behavior in vibration tests. The use of 3D printed parts yielded 22% in weight savings, a decrease in production schedule of around two months and around 30% in cost savings. Based on Thales Alenia’s Spacebus-4000 satellite platform, the 3,700-Kilogram KoreaSat-5A hosts a total of 36 Ku-Band transponders: twenty 54 MHz, twelve 36 MHz and four extended, steerable Ku-Band transponders with a bandwidth of 36 MHz. The transponders operate at uplink frequencies of 13.75-14.5 GHz and downlink occurs between 11.45 and 11.7 GHz and 12.25 and 12.75 GHz. The satellite has a total payload power of 7 Kilowatts. 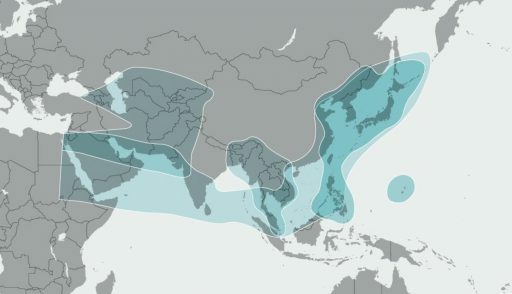 The KoreaSat 5A satellite delivers a total of five Ku-Band coverage zones – an Indochina Beam covers the majority of Southeast Asia including Myanmar, Thailand and Malaysia; a North-East Asia Beam provides coverage over the Philippines, South Korea and Japan; a South-Asia Beam delivers coverage to Pakistan and surrounding countries, a Maritime Ku-Band zone covers the Arabian Sea, Bay of Bengal, South and East China Seas and the Sea of Japan. 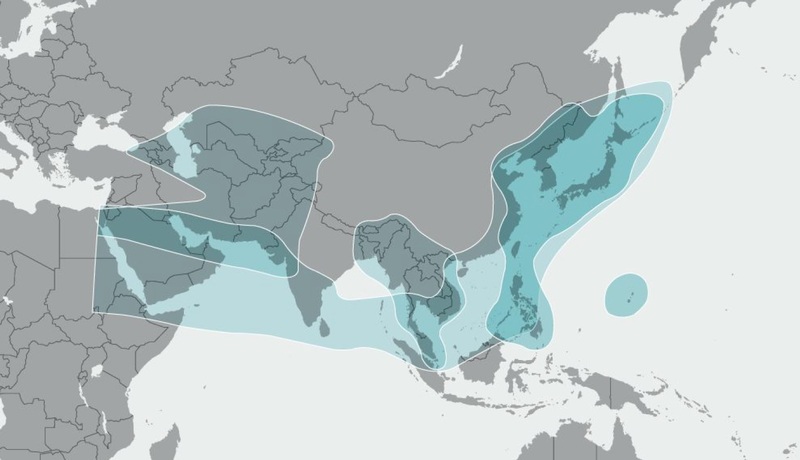 Steerable Ku-Band beams can be directed wherever needed within the satellite’s footprint. The KoreaSat 5A spacecraft will be located at 113 degrees East in Geostationary Orbit where it will operate for at least 15 years as a replacement for KoreaSat 5 that launched in 2006 atop a Sea Launch Zenit-3 rocket and hosts 24 Ku-, 8 SHF- and 4 Ka-Band transponders for military and commercial use. 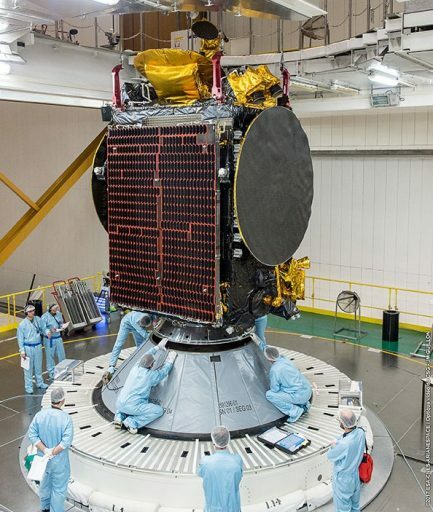 KoreaSat-5A has a launch mass of ~3,700 Kilograms, with a base of 2.3 by 1.75 meters, based on Thales Alenia’s Spacebus-4000B2 satellite platform. Spacebus-4000B2 is part of the Spacebus-3000/4000 series developed by Aerospatiale (now Thales Alenia) in the 1990s to cover a range of satellite masses and payload accommodations ranging from medium-sized satellites with a mass of 3,000kg to high-powered systems up to 5,900 Kilograms. The bus can support up to 12kW of payload power and uses a new avionics system with a 100-Volt power bus. Spacebus dates back to 1985 when the first Aérospatiale-built Spacebus satellite, flying under the Spacebus 100 designation was launched. 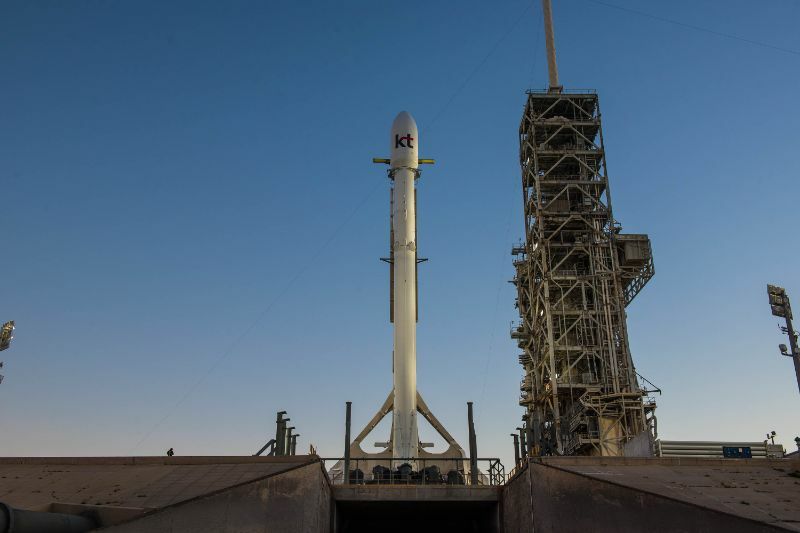 Over the years, the capabilities of the satellites were expanded owed to more and more powerful launch vehicles becoming available, allowing transponders and equipment to be added to the satellites. Going through constant stages of modernization, Spacebus evolved into its 3000 and later the 4000 series which feature the same basic structure but different avionics systems. Thales provides an ITAR-free version of its satellite buses to allow spacecraft to launch on non-U.S. launch vehicles like the Chinese Long March rocket. Spacebus 4000 uses a modular approach, with separate construction of the satellite platform and payloads for integration late in the manufacturing process. The satellite platform consists of carbon fiber with a composite honeycomb structure making up a central thrust structure facilitating the propellant tanks and a series of internal and external panels facilitating the various systems such as payloads, avionics modules and radiators. A chemical propulsion system is used for apogee-raising and stationkeeping in Geostationary Orbit for a minimum service life of 15 years. The satellite uses an S400 main propulsion system and sixteen S10-18 bi-propellant attitude control thrusters, each delivering 10N of thrust. The S400 series built by Aitbus Safran Launchers are bi-propellant engines using Monomethylhydrazine and Mixed Oxides of Nitrogen as propellants. Depending on the version used, S400 provides 420 to 425 Newtons of Thrust with a specific impulse of 318-321 seconds.